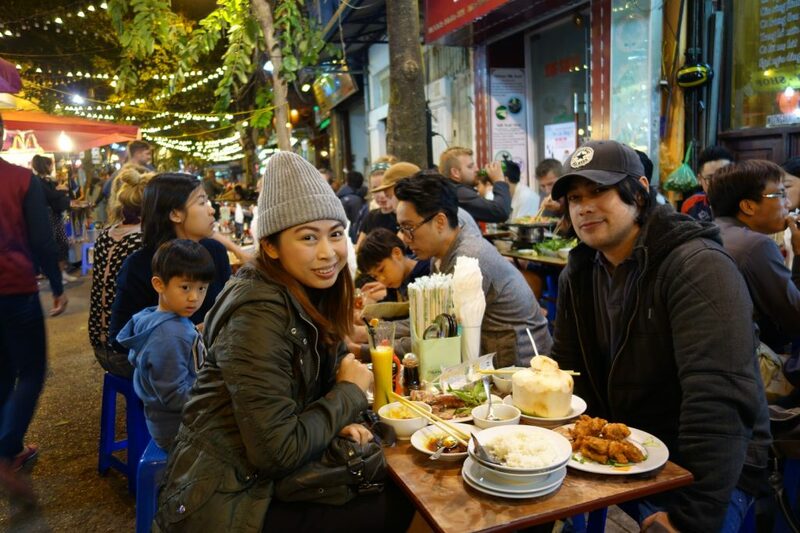 If you ask me and Mike what we thought were the best parts of our Hanoi anniversary trip were, you wouldn’t think that eating in a small local eatery would be in our top ten list. 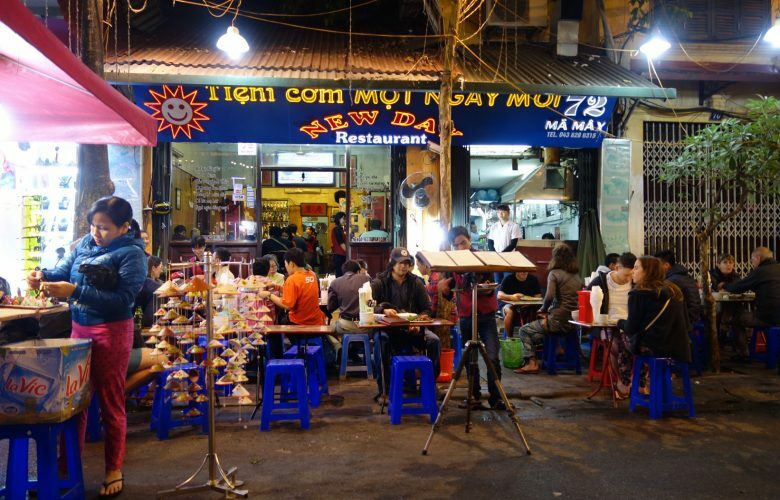 But sitting on low stools by the bustling and lively street as vehicles and hawkers pass us by while we enjoy flavorful and filling Vietnamese dishes? No question, it was one of our fondest memories of our trip. When you first see the façade of New Day restaurant, you really wouldn’t think that there’s special about it. 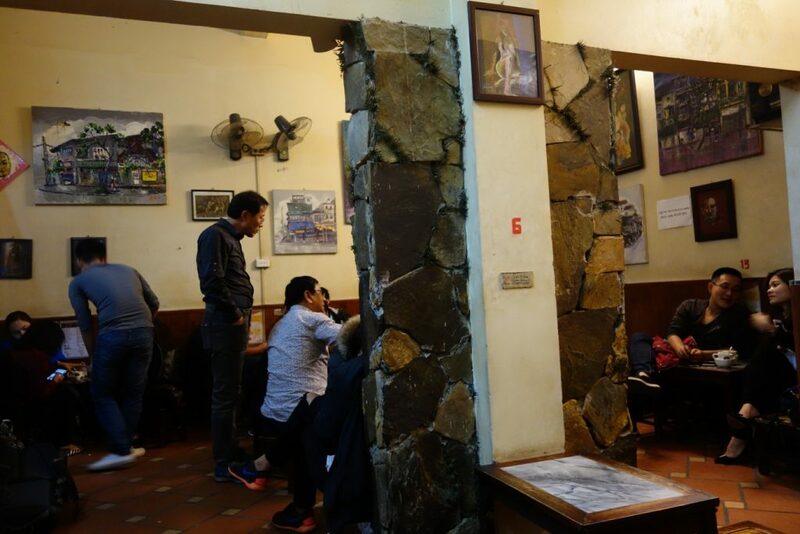 It just looks like a regular Vietnamese restaurant with its bare-bones design: basic wooden tables and plastic chairs outside, straightforward neon signage, an open area where guests can point at a selection of hot dishes, and not much else. 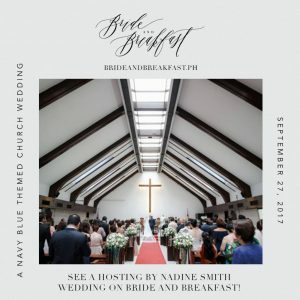 But then you’ll notice that it’s packed with diners from all walks of life – locals, tourists, expats, adults, children, families, tour groups, and people like us (sort-of-honeymooners or couples celebrating a wedding anniversary). What’s more, you’ll notice that it never seems to run out of new customers. Once a table frees up, it gets occupied again in just a matter of seconds! 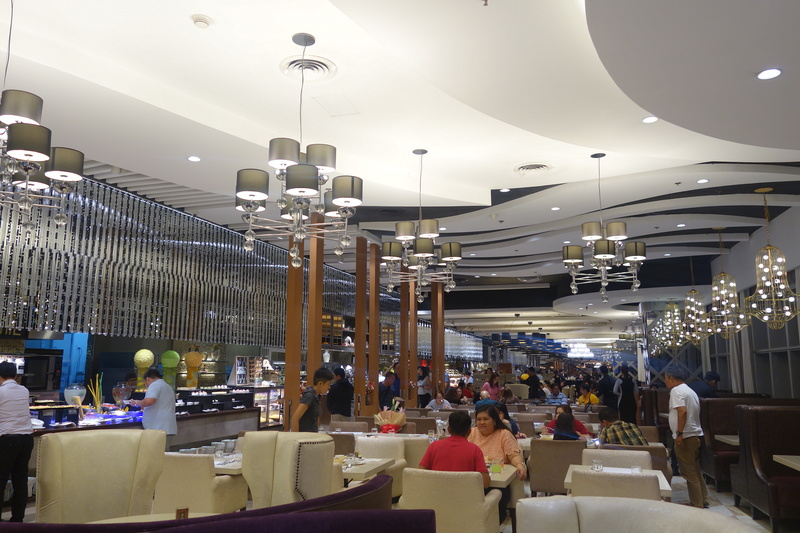 That is a clear indication that this unassuming restaurant is actually an outstanding one. Nothing fancy, just really awesome food! 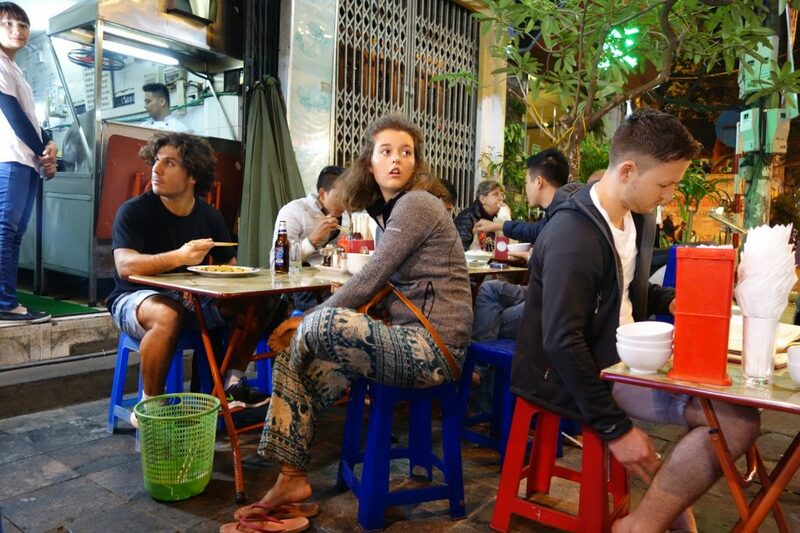 This restaurant is flocked by people from all walks of life, including tourists… lots and lots of tourists! New Day wasn’t even part of our Hanoi itinerary. Well, that’s because we didn’t actually have an itinerary. For this trip, I chose not to make one so we can just ‘go with the flow.’ We’re just lucky that the ‘flow’ led us to New Day. We were just in our hotel, feeling hungry, and I did a quick search on places where we can eat. New Day looked promising, so we took out our map and walked all the way to the restaurant, which was located on the very vibrant and buzzy Ma May Street in the Old Quarter. 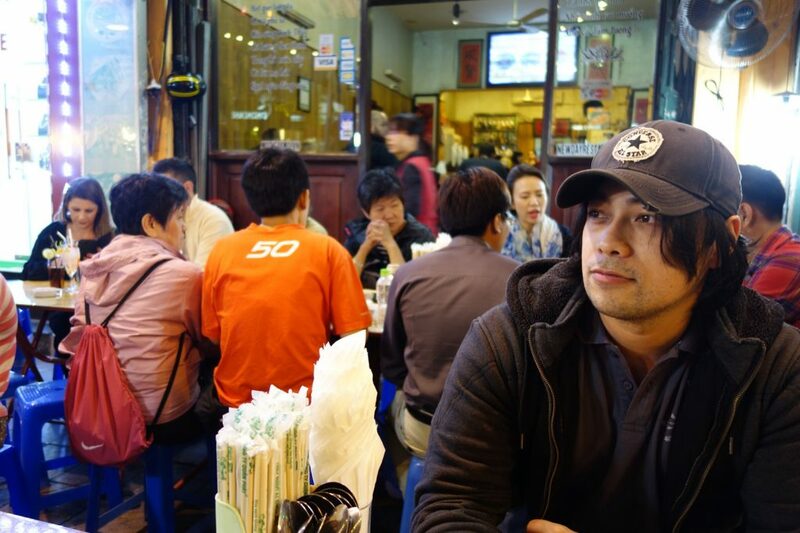 It was fun to eat while watching the busy street. 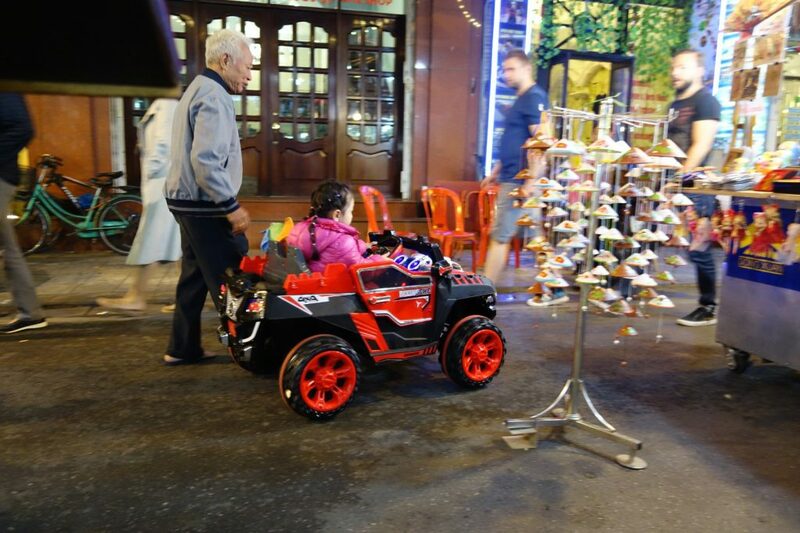 We saw a lot of these kiddie cars in Old Quarter. And funny, the kids seem to be out late at night! Diners can choose from an a la carte menu, but I opted to go to the side of the restaurant where I picked out some dishes on display from steaming hot pots. I’ll admit, they didn’t look very appetizing — or sanitary, since they were out in the open — but looks can really be deceiving. Just tell the guy what you want and he’ll serve it to you! 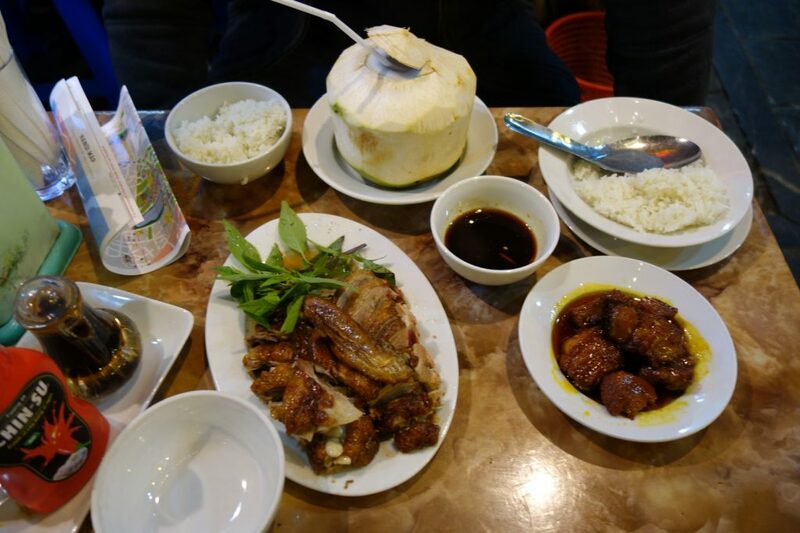 We ordered a delicious pork dish and duck. Both were amazing! The duck was especially fantastic! Mike and I are not even fans of duck, but this one was so juicy and the sauce alone was something to write home about. I don’t know what it was about the sauce but it was good enough to make us want to lick our plate clean. 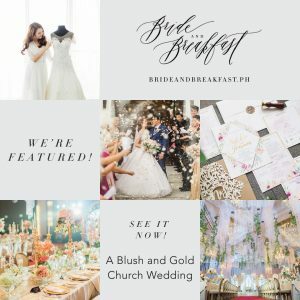 I know it doesn’t look “wow!” but trust me, we were blown away by our simple dishes! 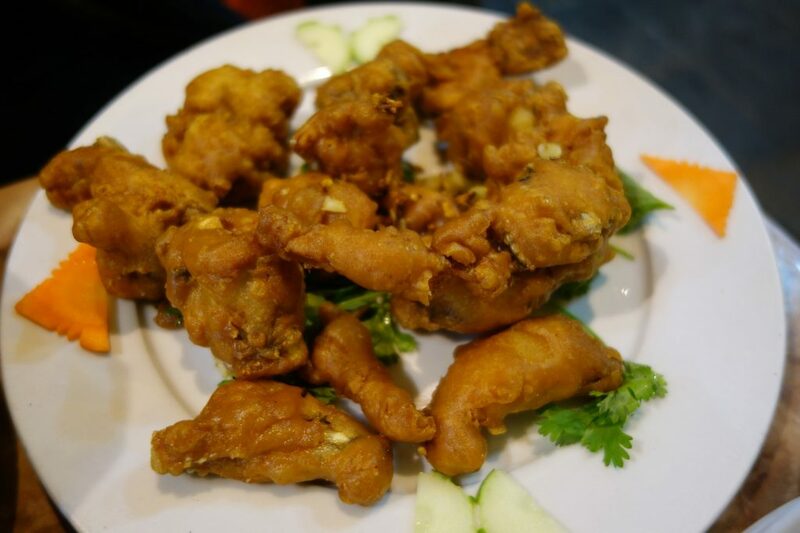 When we saw ‘Garlic Butter Frog Legs,’ on the menu, we asked each other, “You wanna try?” and we both said yes. Mike and were feeling a little adventurous, food-wise. Hey, we were in Hanoi, after all! Adventure was expected and welcomed! The frog legs, though a little bony, were surprisingly pretty good too. I guess it helped that it was deep-fried in garlic and butter! In case you’re wondering what it tastes like, it tastes like chicken. If you’re feeling a bit weird about eating a froggie, just try to imagine that you’re eating chicken! Note to self: It’s not frog! It’s chicken! 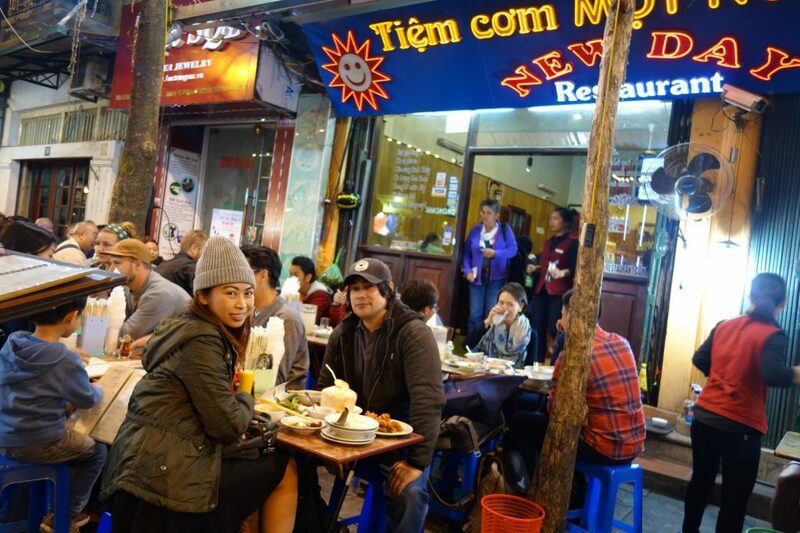 We had our best meal in Hanoi in New Day Restaurant! The servers were also nice and the prices were dirt cheap! 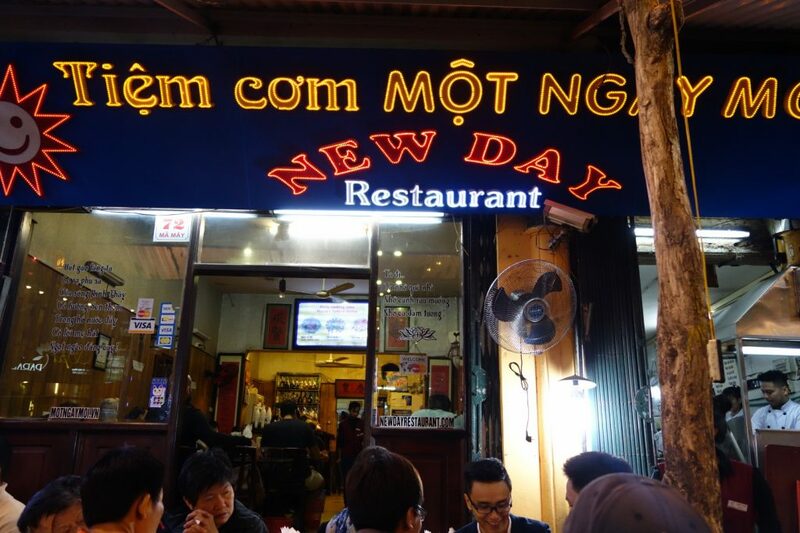 It was an incredible authentic Vietnamese dining experience, and for sure, if we ever do come back to Hanoi, New Day will be our go-to place for good food! 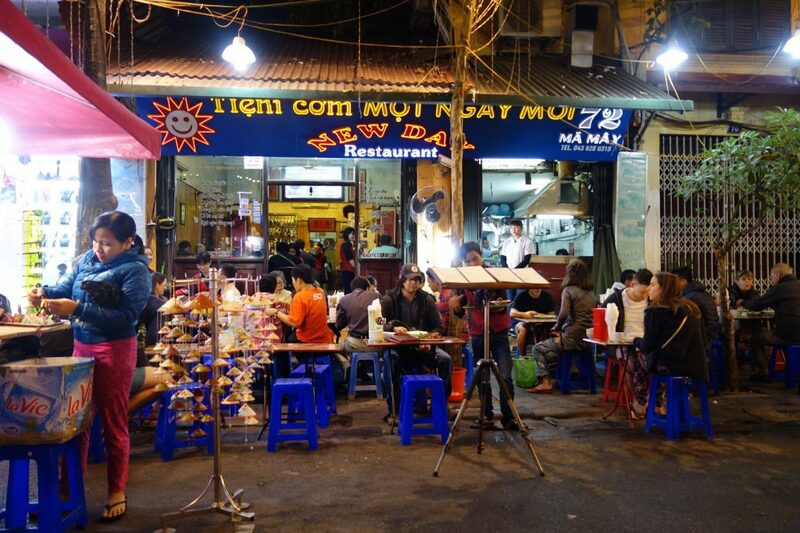 Our favorite restaurant in Hanoi! 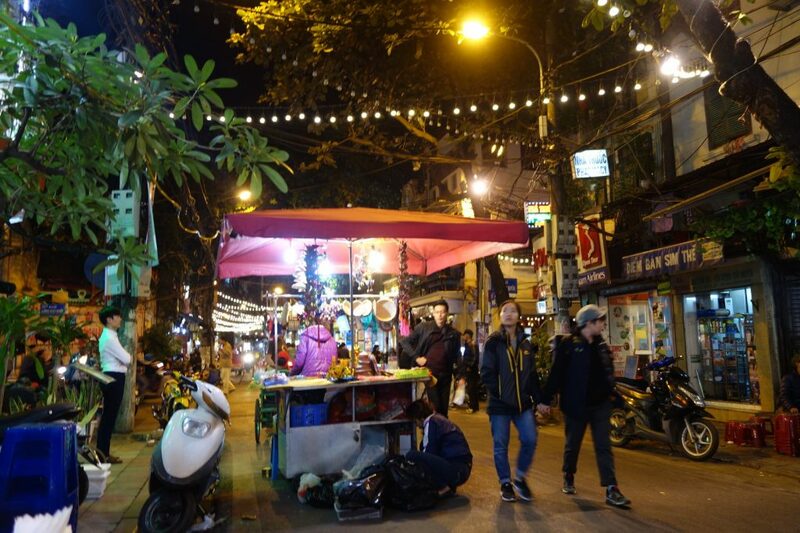 For dessert, Mike and I walked to Nguyen Huu Huan street to search for Cafe Giang, the café that serves the famous Ca Phe Trung, more known as the Vietnamese egg coffee. Egg coffee?! What in the world is that?! 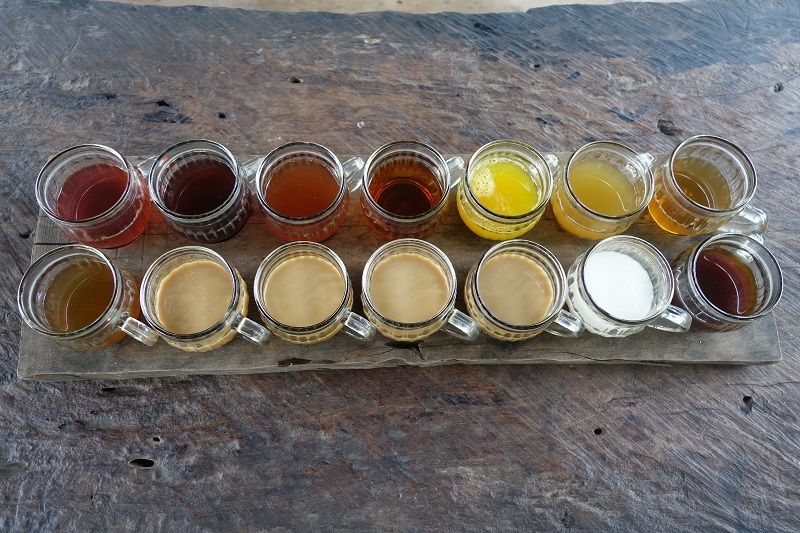 Actually, it’s coffee with egg yolk, coffee powder, condensed milk, butter, and cheese. That sounds insane and maybe just a little bit stomach-churning, but hey, don’t knock it ‘til you’ve tried it! It wasn’t easy locating this small and humble café, but we diligently searched for it because trying this much talked about egg coffee is a definite must-do when in Hanoi. 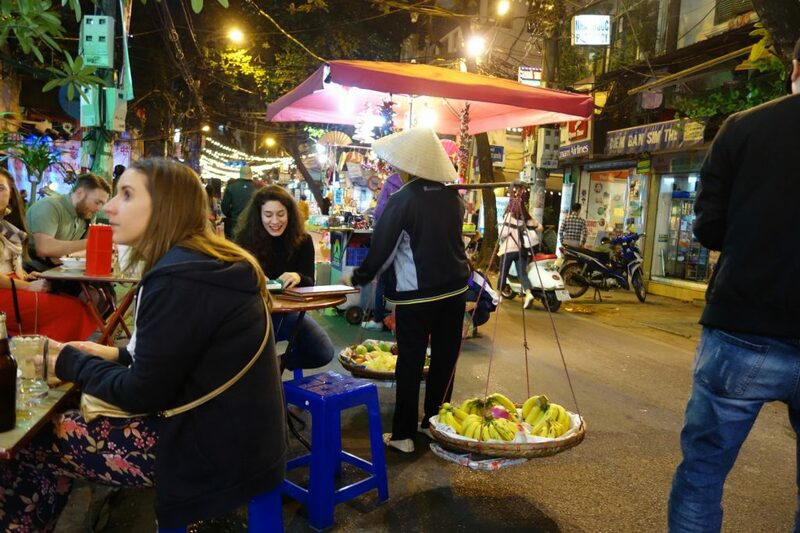 Vietnam is big on coffee, but if there’s one kind of coffee that you have to try in Hanoi, it’s this. 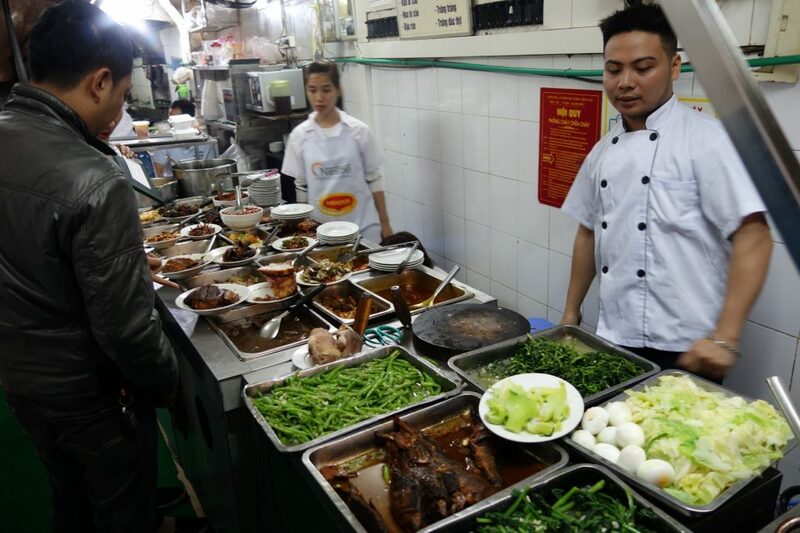 The founder of Café Giang, Nguyen Van Giang, created the recipe for egg coffee during his stint as a bartender at the Sofitel Legend Metropole Hanoi Hotel where he would serve his unique brew. Back then, there was a scarcity of milk in Vietnam, so he used egg yolks as a substitute for milk. The guests who tried it loved it, which then egged him on (pardon the pun!) to leave the hotel and put up his own café. 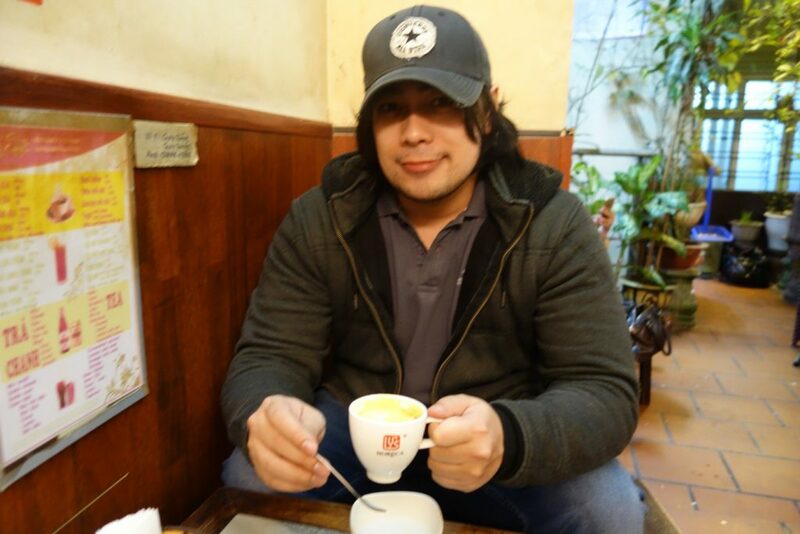 Since then, his recipe has been imitated by many and there are tons of cafes that serve egg coffee, but there is nothing quite like the original. 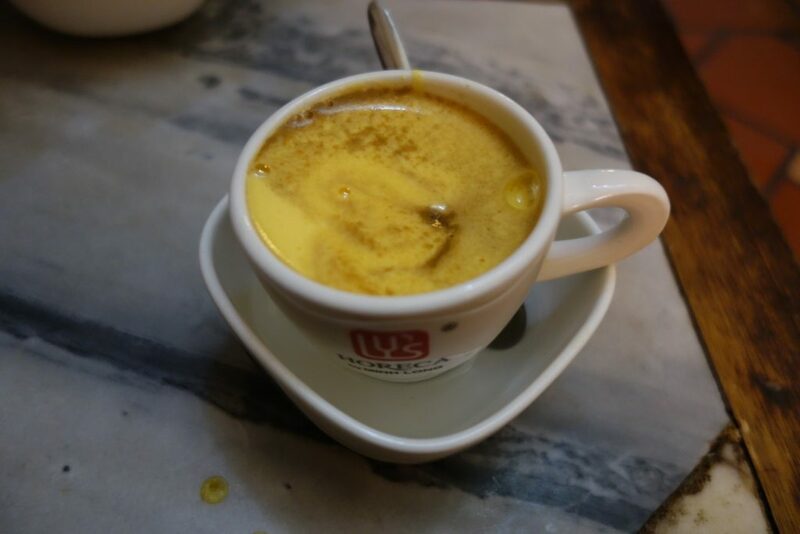 Our egg coffee was served on a small cup, submerged in a bowl of hot water to keep it warm. It also came with a teaspoon, which was very handy in scooping up every last drop of the mixture. When I dipped my teaspoon in the cup, I was surprised at how thick it was. 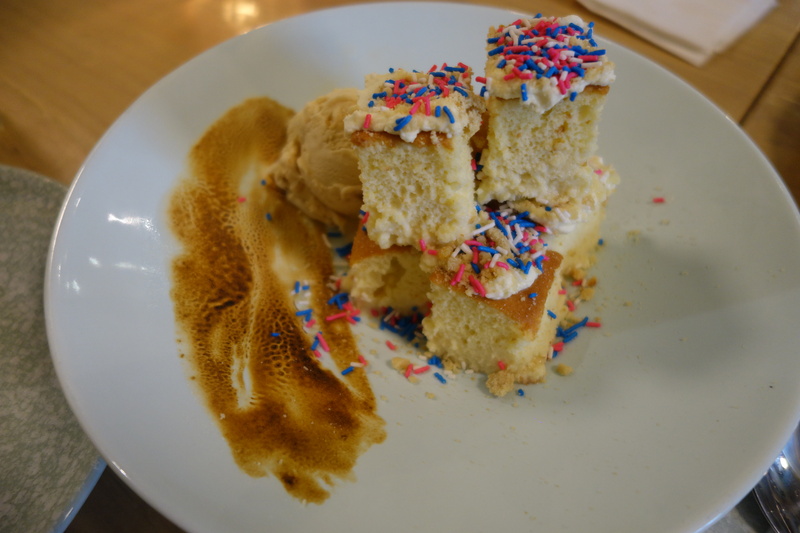 With its velvety and foamy mousse-like texture, it was really more of a dessert than a drink. No wonder it came with a teaspoon! The egg coffee tasted like a mix of coffee ice cream and tiramisu. Even for someone who’s not a coffee person, I thought it was distinctively decadent. The creaminess of the egg melded nicely with the robust coffee flavor. I really liked it and wanted another one but I didn’t want to overdo it. I didn’t want to spend our anniversary trip palpitating and running to the bathroom! 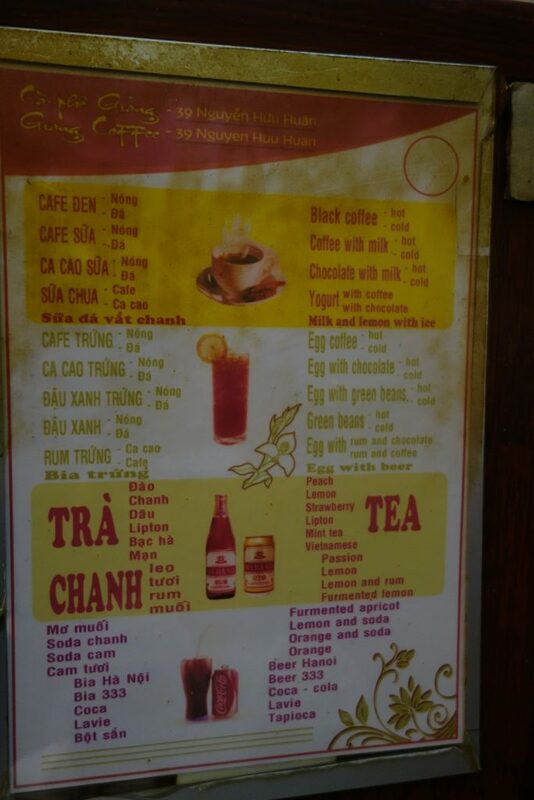 If you’re heading to Hanoi and this egg coffee got you curious, go ahead and satisfy your curiosity. Like I said, this cafe isn’t easy to find, but don’t give up! 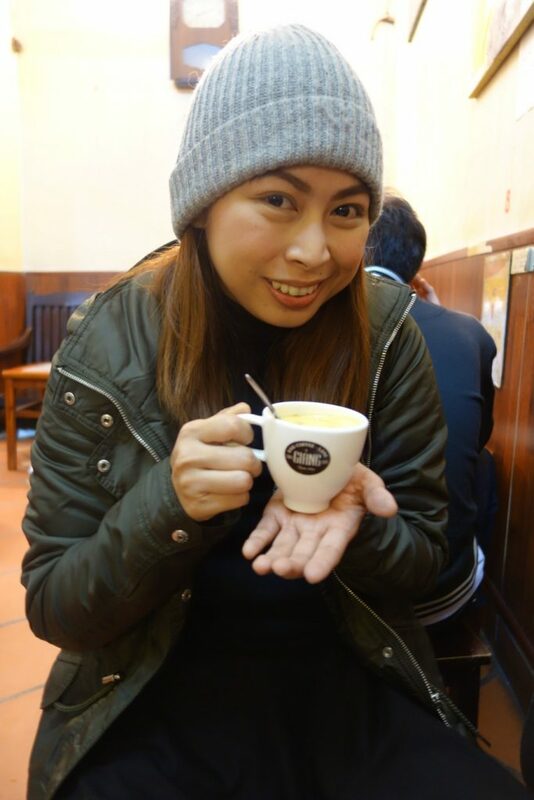 You can always have your Espresso, Macchiato, Latte, and Capuccino but authentic Vietnamese egg coffee is a one-of-a-kind caffeine experience that you must not miss!